When I was a kid my parents used to take us to Jewish Delis in the Philadelphia area. From a young age I could remember walking into a deli and being in awe of all the cuts of corned beef and pastrami. The aroma was intoxicating and brought on instant hunger pains. 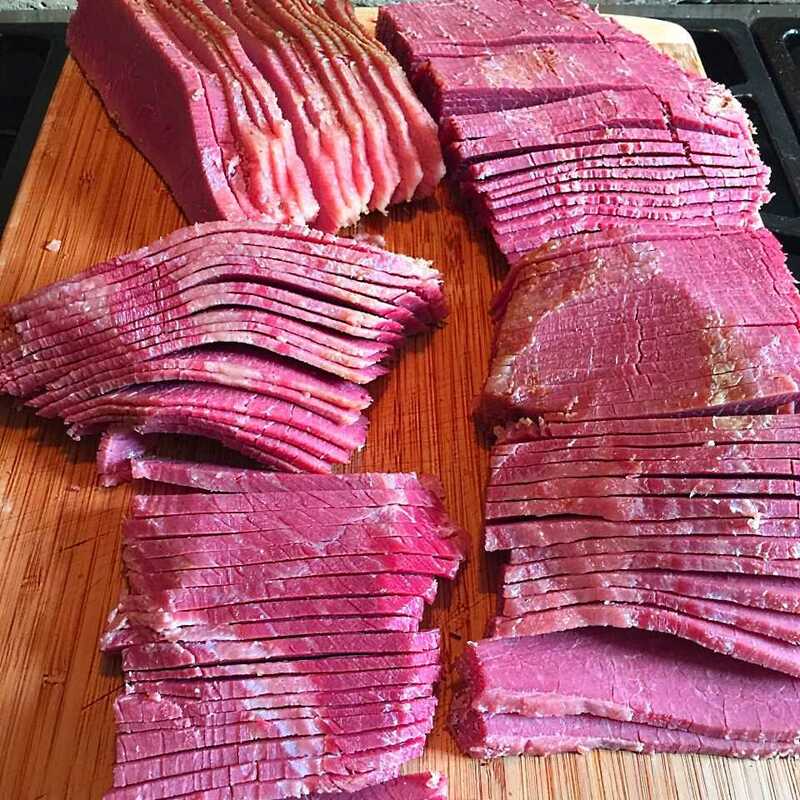 I learned (or perhaps was conditioned) as a young kid that all I had to do was look up at the guy slicing meat with a look of yearning and he’d reach over and hand me some freshly sliced cuts of heavenly corned beef. As I got older, and traveled to New York City, I was able to test out the big NYC deli’s I had only heard about from others. I loved walking into these crowded spots and seeing the deli production line in action. There were very few pleasantries spoken, however, there was a symphony of sound and dance being performed by order takers, slicers, assemblers, and cashiers. There was a rhythm to the madness going on behind the counter. I was hooked, instantly; the NYC deli was the corned beef sandwich Mecca. In my adult life I’ve attempted many different corned beef recipes. Some ended up too salty, others just downright didn’t taste very good. 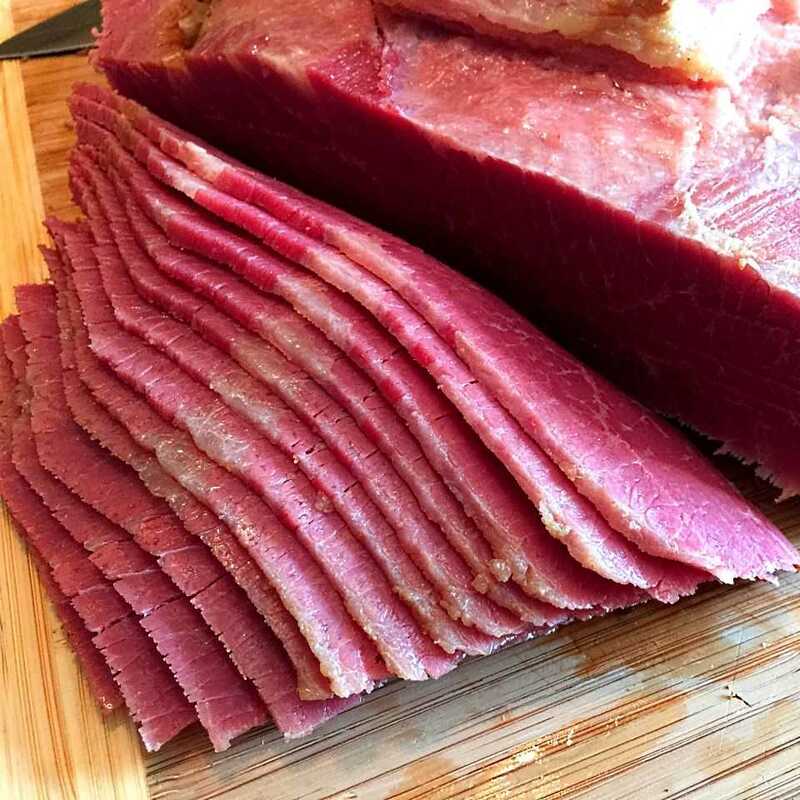 After seeking out some of the best corned beef recipes the internet had to offer, I decided to create my own. My two best attempts at making corned beef were using recipes from ChefSteps.com and AltonBrown.com. I also learned some of my own techniques and decided a combination recipe using methods from all three sources was the best way to go. After testing various methods and ideas for a few months, I can truly say, the recipe below is one you’re sure to enjoy. 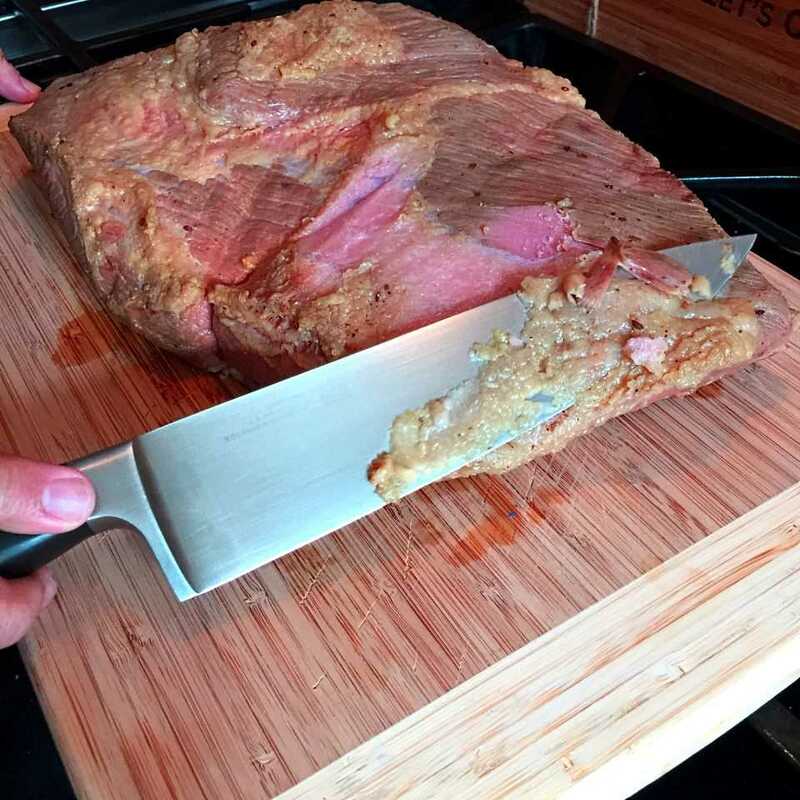 The corned beef recipe below combines a 7-10 day brine, a wet rub, and a 48 hour sous vide bath. It’s a true labor of love but well worth it! The ingredient list is long and the prep is a bit cumbersome, but if you want to take on a “project cook” then this is for you. 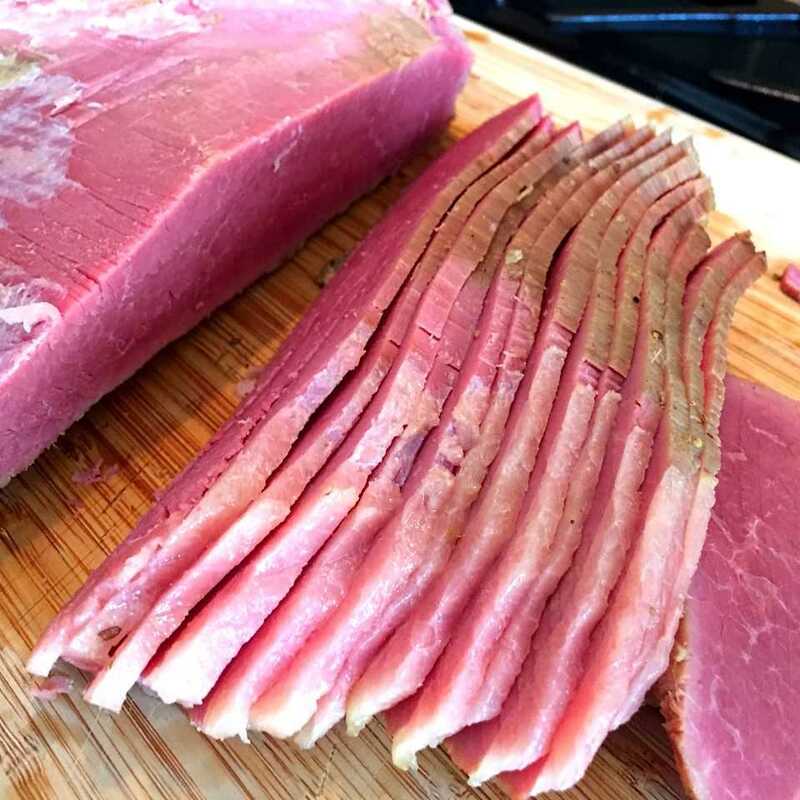 This Corned Beef Recipe combines a 7-10 day brine, with a wet rub, and a 48 hour sous vide bath. It's a true labor of love but well worth it! 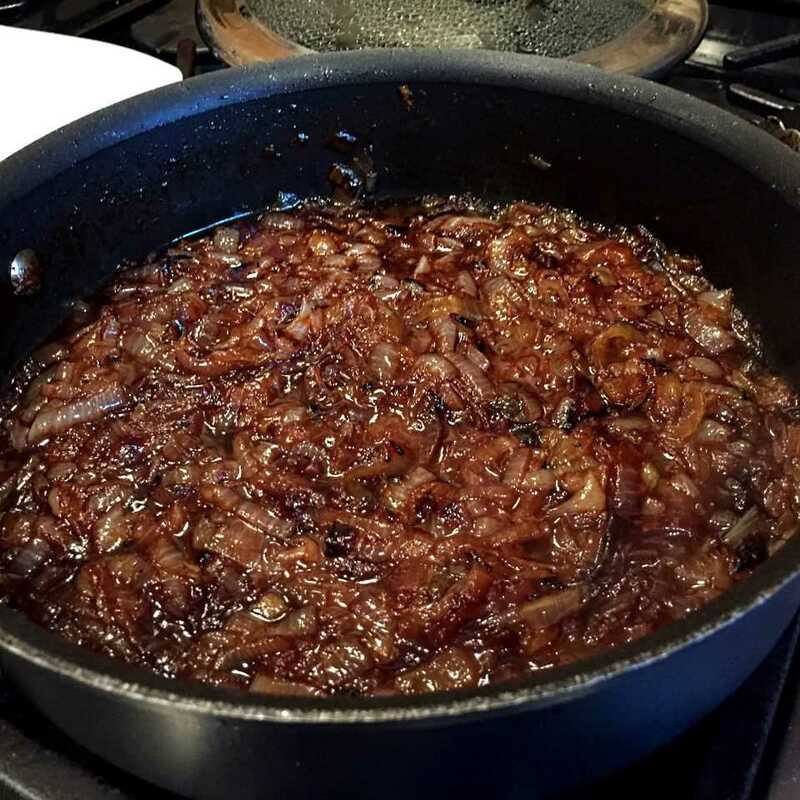 The ingredient list is long and the prep is a bit cumbersome, but if you want to take on a "project cook" then this is for you! Bring two quarts of water to a boil. Mix in all of the brining ingredients until the sugar and salt are completely dissolved in the water. Remove from heat and add 2-3 pounds of ice to cool the brine. Brine the brisket for 7-10 days. Every day you must flip the meat over and shake the bag gently to make sure the brine mixture penetrates the meat evenly and throughout. 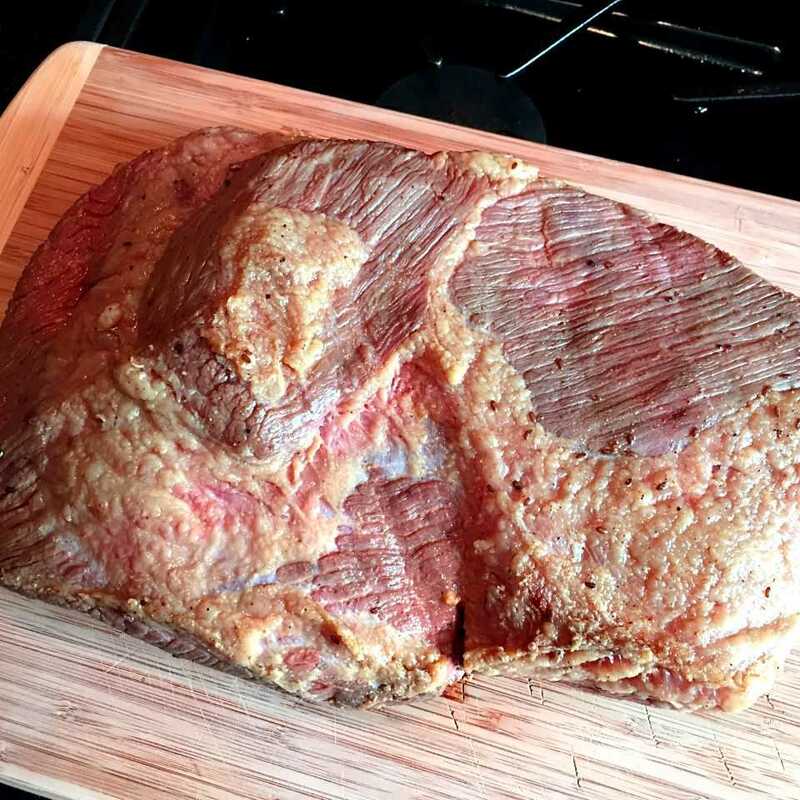 After your 7-10 day brine remove the brisket from the bag and wash it thoroughly under cold water. Remove as much of the brine as possible. The exterior of the meat may take on a slightly grayish/pale color. Mix all of the Wet Rub ingredients together in a bowl. 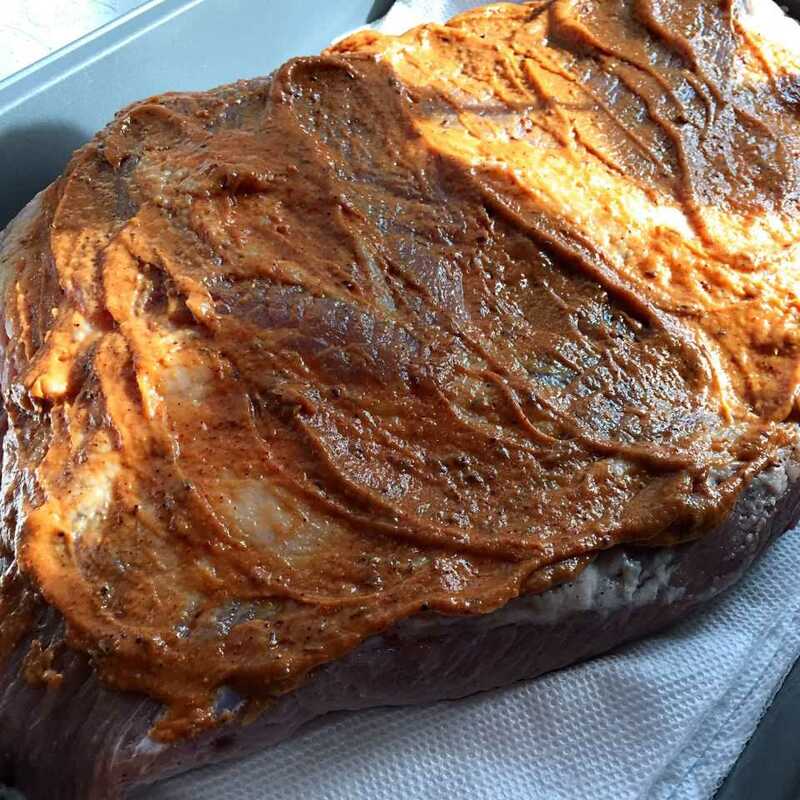 Pat dry the brined beef and rub the wet mixture liberally and vigorously into the beef. Don't be shy here. Make sure she is well rubbed down and feeling ready for her bath. 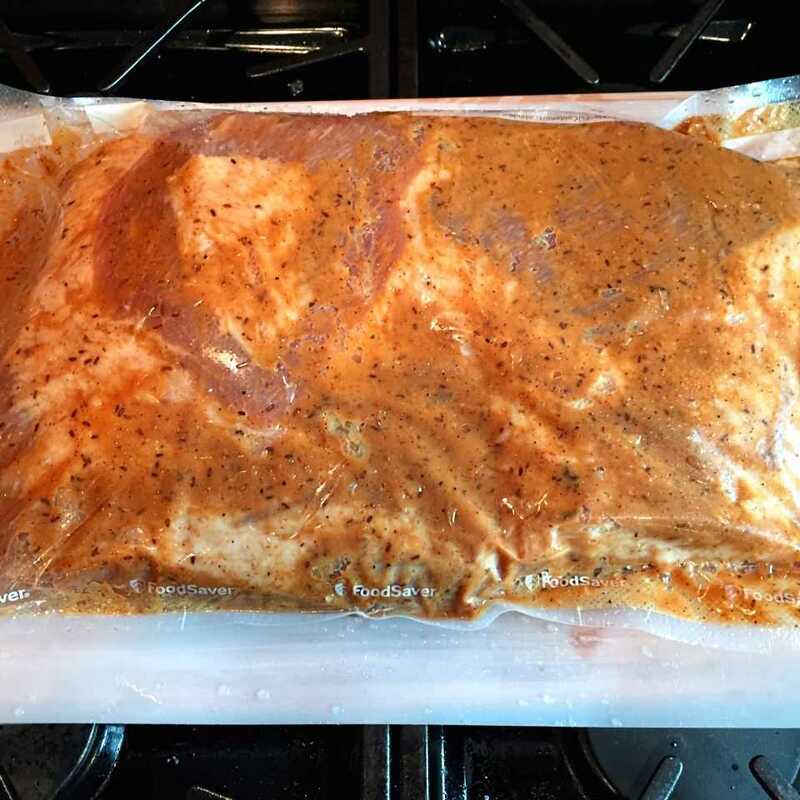 Slide the brisket into a large vacuum sealer bag (I use Food Saver) and make sure to double seal the edges. The last thing you want is to go through a 10 day process and then ruin your meat due to a leak. Using two sealed bags is an option also. 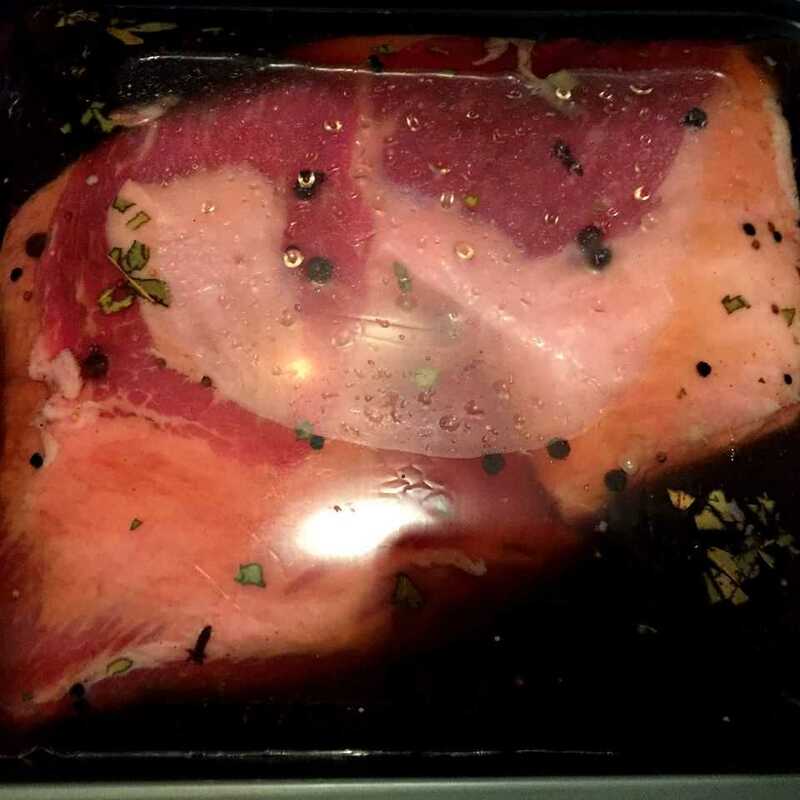 Place the sealed brisket into a sous vide water bath and set your temperature to 140 degrees Fahrenheit. Allow to cook for 36-48 hours. After 48 hours remove the corned beef from the bath and allow it to cool while still remaining in the bag. Once the meat is slightly warm to the touch you can remove it from the bag. You can do whatever you want with the meat but I highly advise trimming the top, bottom, and all of its edges (the skin). The edges are grayish/brown and are way too salty to consume. 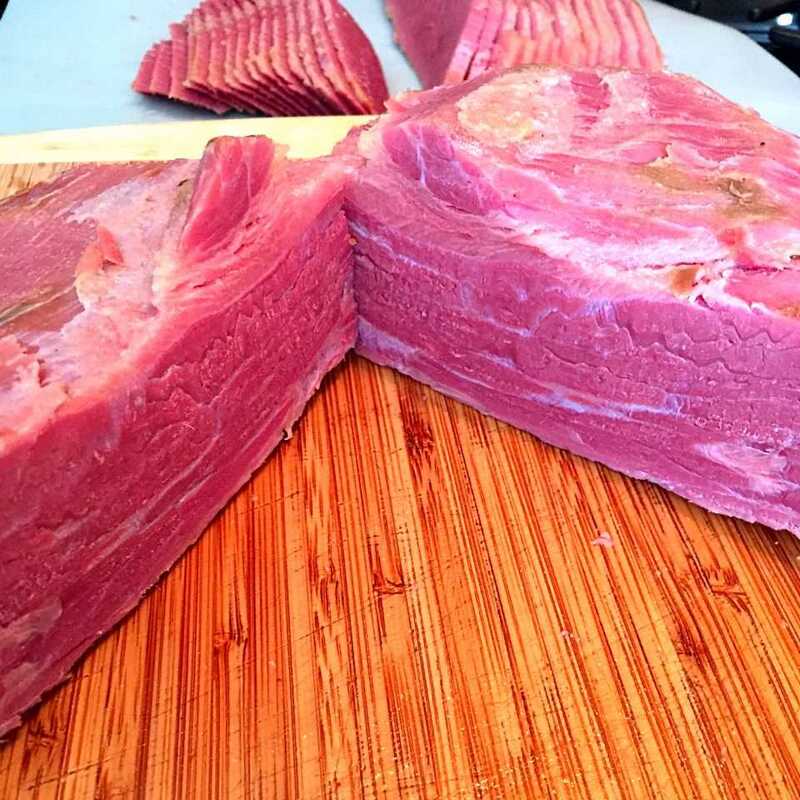 Once you trim it the entire corned beef should be a bright reddish/pink color. Slice or shred as you see fit! 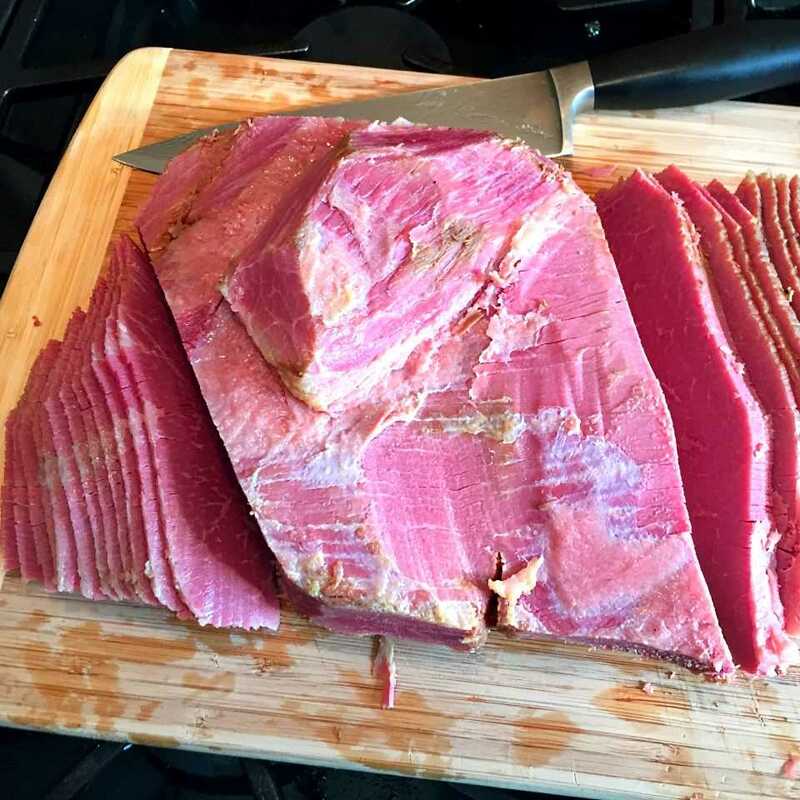 If you are slicing the corned beef you need to study the movement of the meats grain. Large pieces of meat often have multiple directions of grains. If need be, cut the large piece of meat into sections based on grain direction. Then, slice the meat against the grain. I prefer ¼ - ½ inch slices for sandwiches. Wow! This sounds and looks amazing! Totally worth the time and effort. Sometimes you cannot rush art! Thank you Kathy! I couldn’t agree more. Glad you like it! Sounds like a worthwhile project! Only question relates to the 140° sous vide temperature. 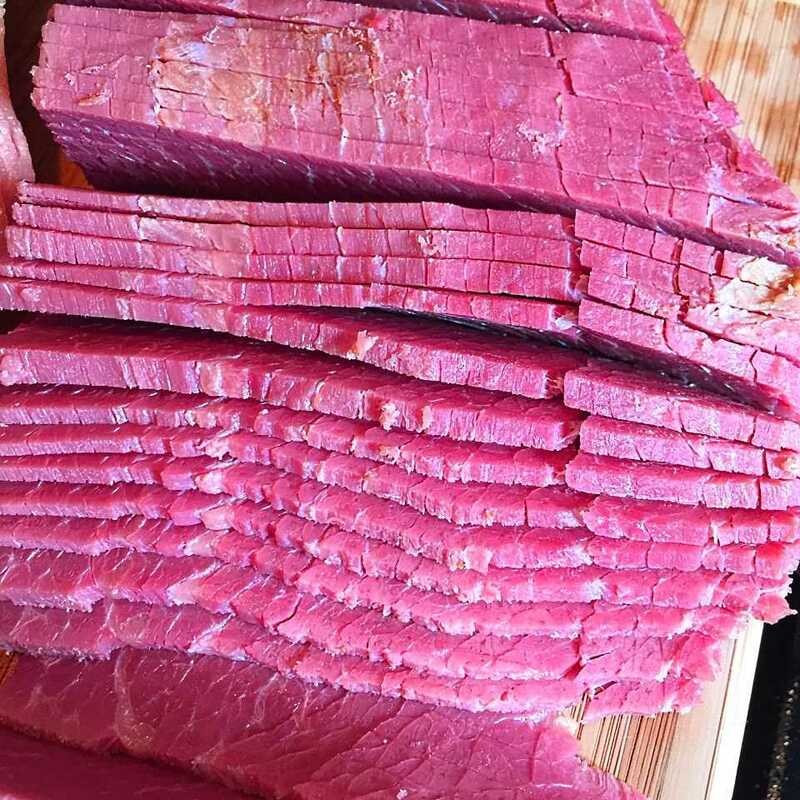 The texture I’m seeking in corned beef is fall-apart tender. Would I be disappointed with 140°? Or should I try 160°? My challenge would be to match a place like Katz’ or the now shuttered New York location of Carnegie Deli. Thanks Ted, It’s definitely a worthwhile project! It’s hard to see it in the pictures but the corned beef came out barely holding itself together. It was “sliceable” but easily broke apart with minimal handling. I think if you went up to 160 you’d overcook it. It’s such a long cook time that I’d be worried it may get ruined at that temp. Perhaps try 145-148 degrees. Thanks Mark. 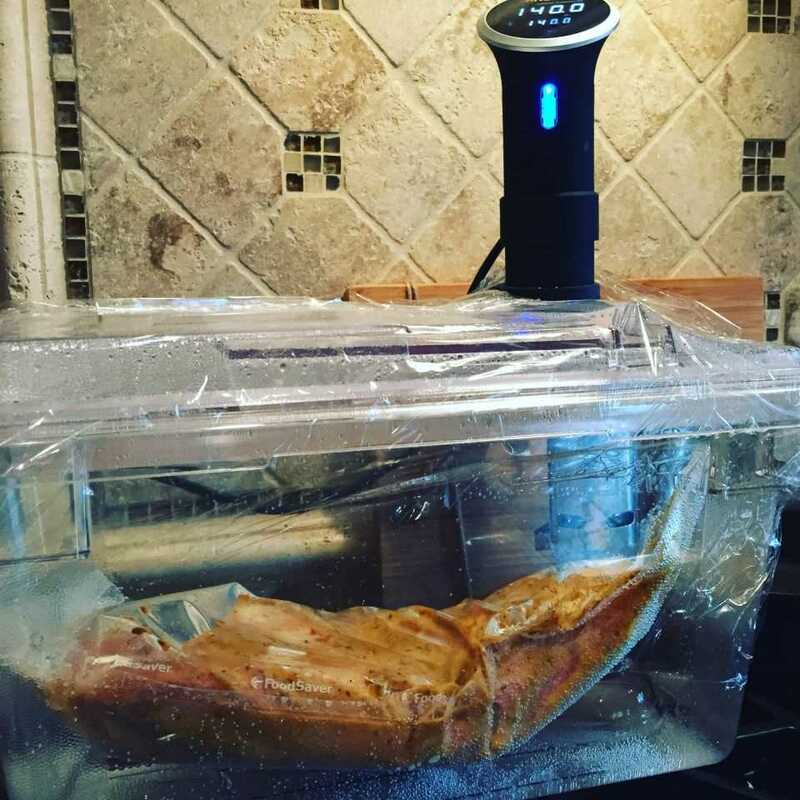 I will definitely give this a try- I’m fairly new to Sous Vide, and didn’t have spectacular results with a brisket cooked at your suggested temperature. But then again, you’ve actually done this, so maybe it’s the added benefit of the week long plus brining time. Would you compare your results to something like a good NYC deli? Ted, Sorry for the delayed response. I would definitely say this compares to a good NYC deli. That’s what I was going for when I experimented with the recipe. Let me know how you make out. Would it be possible to make this without the honey and sugar? I know it would change the flavor but I wasn’t sure if the sugar played some important chemical role in the brining process as well. I’m doing Whole30 right now, hence the no sugar question. Thanks! You can leave both out but it will change the flavor a bit. The sugar helps to balance the saltiness of the brine. I haven’t tried making it without so I’m unable to provide you with feedback on how much it changes the flavor profile. If you end up giving it a try please let me know how it turns out. I think a Whole30 version would be great to have. Ok cool! Thank you! I definitely plan on giving it a shot, so I’ll let you know how it turns out. I was thinking of adding less salt as a way to balance out the saltiness that will happen from not adding sugar. We’ll see how it goes!! Sounds good. Just make sure you don’t lower the amount of pink curing salt that you use. It’s a very important part of the brining process and if you lower it you could end up ruining the meat. As for the kosher salt I would still use at least 3/4 cup. Good luck! Did you originally post this to reddit last year? Or did you steal someone else work and slap it on you blog? 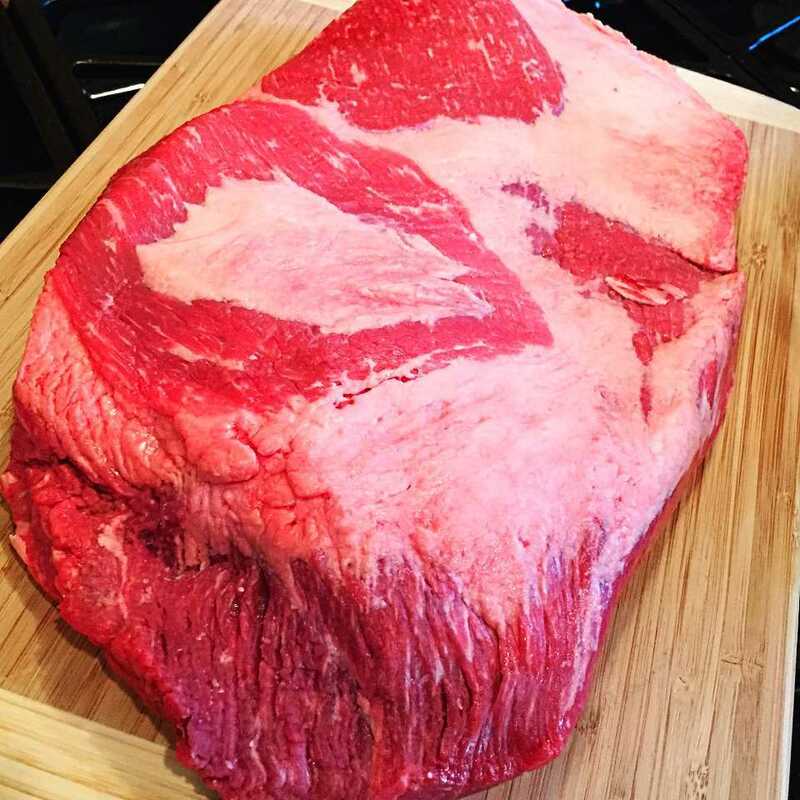 I am doing a whole prime brisket, 14 lbs. Cut up, to fit bags, of equal mass. Do I double the brine mix? Or triple?? I have done a lot of soups vide, still learning temps/times? They are all over the place. This is a tough call. It will depend on how many bags you end up with. You want to make sure you have enough brine to fully submerge the brisket in each bag. The recipe above was done with a 6.5lb brisket and I was able to get it into one bag, but it was tight. So my guess would be to double the brine amount if you’re splitting yours into two bags. If your splitting the brisket into 3 or more bags then triple it. So basically I’d multiply the brine by the number of 2 gallon bags you’re using. I hope this helps. Please feel free to reach out with any other questions. Also, please let me know how it turns out. Mark, thanks for the recipe. Wanted to give you and your followers a quick follow-up. The corned beef turned out great. While waiting for the brisket to brine (I went with 10 days) I did a lot of web reading about the myth of flavor/spice penetration, so I decided to do a little experiment. Post-brine, I bagged half the brisket with your wet-rub recipe and the other half in a bag with nothing but the meat. Went with 140F for 48 hours. After chilling it and trimming it, the two halves taste nearly identical – I assume the only difference was some spice that was sitting on the skin that didn’t get trimmed away. 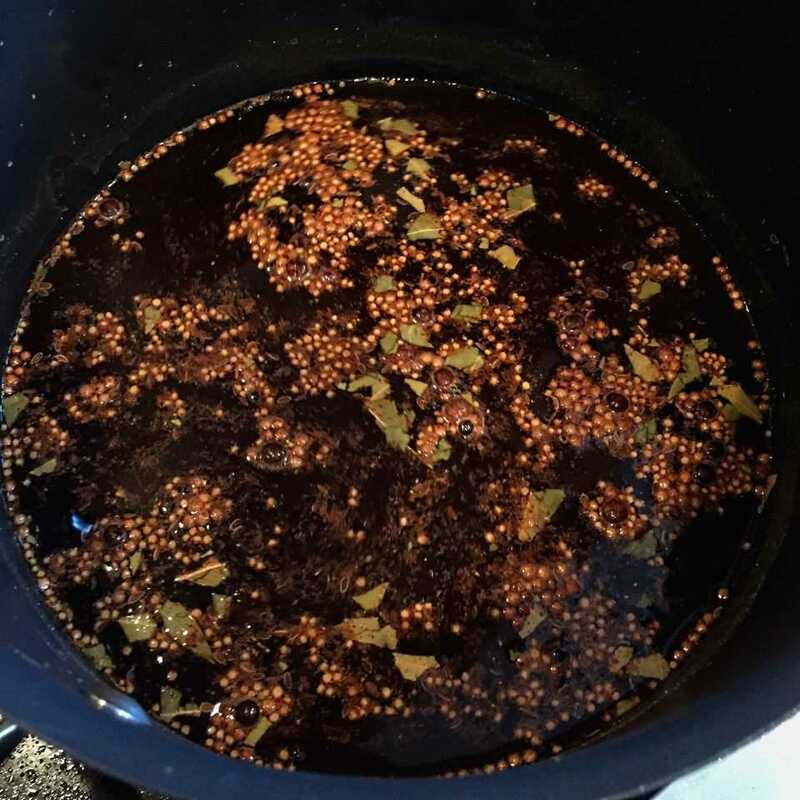 When this batch is gone, I plan to try it again, but with even less spices in the brine – I suspect the flavor will end up similar. Thanks again! I’m very interested to see how you make out on your next cook. I am about to start another corned beef but will probably turn half into pastrami this time. I’m also going to cut down on the salt in the recipe. I’ll post some follow-up info and document it on my instagram account.